#16. 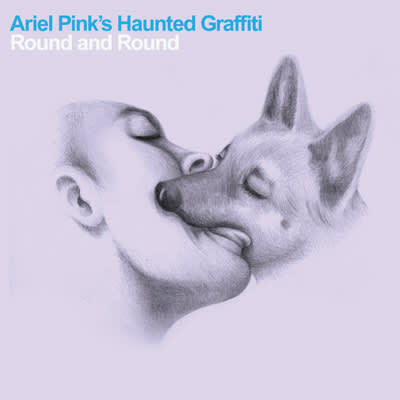 Ariel Pink's Haunted Graffiti "Round And Round"
Every indie band has a lo-fi aesthetic. Every indie band makes rock music and talks about how "pop" it is. It's just that Ariel Pink's Haunted Graffiti does this better than most other crews running around the scene these days. "Round And Round" succeeds because it instantly strikes a familiar chord, channeling psychedelic rock of a time past, but it's also fiercely modern. The year's most interesting frontman and his band dropped a totally unconventional song on their own terms, and it's still the most inviting record they've ever made. Tough task, but they pull it off.